A Brazilian court of appeals is scheduled to rule Jan. 24th on a legal appeal filed by the former President Luiz Inácio Lula da Silva against a corruption conviction that was issued by judge Sérgio Moro last July. International commentators have repeatedly noticed abuse of power and judicial irregularities by judge Moro in his handling of the Car Wash case. Lula da Silva’s lawyers claim that members of the Car Wash task force have used aggressive and partial efforts to prosecute the former president in order to prevent him from participating in the 2018 Presidential elections. Meanwhile, social movements across the country and in the Brazilian city of Porto Alegre (South of Brazil) have promised to engage in continuous public demonstrations in defense of the country’s former President. 1) What specific crime is Lula da Silva being accused of? Lula da Silva is being accused of allegedly accepting US$ 1.1 million in bribes from the construction company OAS to pay for the remoddeling of a beachside apartment in Guarujá, São Paulo state. On several occasions, throughout the trial, Lula da Silva’s legal defense team have provided evidence that the former president never received any benefits other than his salary and the gifts routinely bestowed upon any head of state. Meanwhile, the prosecution has failed to provide any legal evidence that can prove that Lula da Silva committed a crime. Out of the 73 witnesses to take the stand, not a single witness for the prosecution has provided concrete evidence linking the apartment to the former President. There have only been confirmations that Mr. da Silva visited the apartment on one single occasion. The president is being charged with “passive corruption”, which is a legal term that refers to the act of corruption in which one private entity obtains illegal advantages or privileges in exchange of money transfers or payments of any other nature made to the public administration. In this case, the judge would have to identify the specific act of former President Lula from which he could have received an advantage - the triplex apartment – but has not been able to provide documents that prove that the apartment belongs to him. 2) Why has this judicial process against former President Lula da Silva received so much criticism? The legal proceedings and the ruling issued by Judge Sérgio Moro from the 13th Federal Criminal Court of Curitiba demonstrated egregious judicial irregularities, including the right to be presumed innocent until being found guilty, the right to a fair trial, and the right to personal liberty. Judge Moro himself admitted applying a broad application of the law in order to fight against the "greater evil" and the systemic corruption. 3) Is it possible for a self-described "hero judge" to help fight corruption in Brazil? Under no circumstances can a self-aggrandized officer of the court resolve the highly complex and deeply systemic problems of corruption in any country. Furthermore, every member of the Judicial Branch has an ethical responsibility to remain impartial. However, in the case of Judge Moro, he allowed the media and various publications to describe him as the “hero of Brazil” in his pursuit for self-publicity. To make matters worse, Moro publicly participated in the launching of a book entitled “Lava Jato”, which has his picture on the cover. In Brazil, it is legally unprecedented for a judge to promote a book that negatively depicts a defendant whom he or she will try. Before the trial began, the former president repeatedly tried to have Moro removed, on the basis that he was biased; however, these motions were denied – mostly by Moro himself. It was under these conditions that Lula was forced to defend himself. 4) What is the legal concept of 'lawfare' or 'legal warfare'? And more importantly, why is being used in the ongoing legal crusade against Lula da Silva? Lawfare is a term used to describe law as a weapon of war. Legal experts define Lawfare as a weapon, the legitimacy of which is defined by its user's intentions. In some cases it can include deliberately inaccurate interpretations of law in order to obtain politically motivated objectives. In the case of President Lula, lawfare has been used as a strategy to prevent him from participating in the 2018 Presidential elections. The ongoing legal probe into the former President represents an example of partial judicial proceedings. Domestic and international observers have cited several violations of Luiz Inácio Lula’s right to privacy, freedom from arbitrary arrest and right to be presumed innocent until found guilty. Furthermore, throughout the judicial proceedings the media coverage regarding the prosecution of the defendant has demonstrated a prejudicial alliance between the mainstream media and the Brazilian judiciary system. Last year, Judge Moro alongside members of the prosecution received strong condemnation after the court released illegally tapped phone calls between Lula da Silva and Dilma Rousseff. The legal process involved an impartial judge who has been several times accused of siding with prosecutions and failing to ensure the rights of the defendant. 5) So, if there are no crimes or trials, how should the Federal Regional Court of the 4th Region (TRF4) rule? The Federal Regional Court of the 4th Region (TRF4), which is comprised of a panel of three judges, will rule within the confines of the law, respecting the Brazilian Constitution along with the previous trial and it’s judicial precedents. Therefore, the only legally permissible outcome would be to repeal the previous sentence due to the judicial irregularities that led to the initial conviction of the former President. In the event of the TRF4 upholding the conviction, many paths will be pursued in order to restore justice and to ensure Lula's right to participate as a candidate in the 2018 general elections. 6) Is there a reason to be alarmed over the court’s quick judicial processing procedure in Lula’s court case? Institutions and individuals across the political spectrum pointed out the suspicious and unusually quick judicial processing procedure. Considering the lengthy duration of the trial, which included over 250,000 court documents, this was the quickest time in which a case has been processed. The court received the ruling in 36 days, compared to the overall average processing time, which usually takes 92 days. Meanwhile, the rapporteur of the case, court of appeals judge João Pedro Gebran drafted his opinion in 100 days, which is almost three times less than his average processing time of 275 days for other defendants involved in the Car Wash case. Other lawsuits were postponed in order to expedite the hearing date, which is scheduled for January 24th. So, why are Brazilian judicial authorities expediting Lula da Silva’s hearing? "In the name of judicial security and the stability of the democratic game it is better to define sooner rather than later what the rules will be and who may be a candidate,” said Minister of the Supreme Federal Court (STF), Luis Roberto Barroso. Barroso’s comment reflects the inappropriate and unethical intentions of the Brazilian judiciary. The judicial proceedings should be tied to the alleged crimes of passive corruption and money laundering. Instead, his comments reflect that legal officials are motivated by the 2018 electoral race. 7. What happens if the TRF-4 convicts Lula for a second time? Even if Lula is convicted for a second time, the former head-of-state can still submit his candidacy for the 2018 Presidential elections. The practicality of enforcing the court ruling is complicated by various legal technicalities and legal mechanisms that are provided to any defendant to postpone the application of a guilty verdict. According to the Brazilian Front of Jurists for Democracy, only after August 15th, 2018 - the final date for candidate registration - will the Brazilian Federal Prosecution Office be allowed the opportunity to request the Electoral Court to remove Lula da Silva’s name from the electoral race. At which point, the Superior Electoral Court (TSE) would be forced to decide on the matter. During this period, President Lula da Silva would be able to carry out his electoral campaign. 8) Does Lula da Silva have the right to be a candidate? The legal crusade being carried out against the former president will have tremendous implications on the political future of the country. In the legal hearing, the former President, who is currently leading all presidential opinion polls, will be judged by a panel of three judges. If the court of appeals reaches a unanimous guilty verdict, this could in theory disqualify him from participating in the 2018 Presidential elections. Such a scenario could not only prevent him from running but it could provoke an inevitable popular uprising as a result of the repeated judicial irregularities. Regardless of the court ruling, the Workers' Party (PT) has the legal right to claim that Lula will remain the candidate of the party. The Brazilian justice system offers a range of appeal measures to the former president and will still be allowed to take his case to the Supreme Court or the Superior Electoral Court (TSE). The final verdict will only be enforced after the appeal process is complete and until the Superior Electoral Court (TSE) has issued a ruling challenging the legitimacy of his candidacy. During that time, public indignation will undoubtedly increase with regards to the legal crusade being waged against the former President, which would jeopardize the country’s political future. The Brazilian people have the sovereign right to elect Lula da Silva as their nation's President. 9) How would the case continue before the Superior Electoral Tribunal (TSE)? According to the Brazilian Front of Jurists for Democracy, the Federal Prosecution Office will be allowed the opportunity to request the Electoral Court to remove Lula da Silva’s name from the electoral race, arguing that he doesn't meet the criterion used for assessing candidates. At which point, the Superior Electoral Court (TSE) would be forced to decide on the matter. 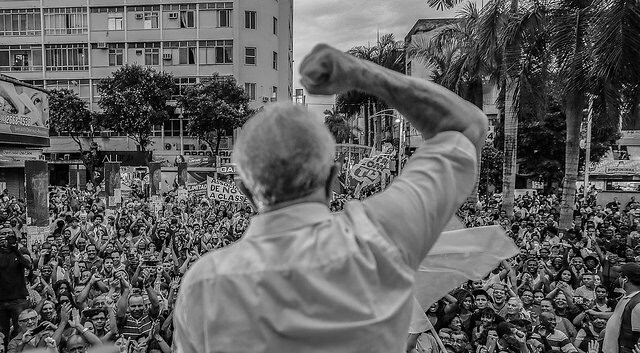 During this period, President Lula da Silva would be able to carry out his electoral campaign. If the court of appeals confirms the first verdict by August 15, 2018, Lula will be declared ineligible and will not be on the ballot. However, legal experts suggest that that despite the Brazilian Judiciary’s haste to define the 2018 electoral scenario, the deadline on a ruling regarding his eligibility is too short. However, depending on a variety of legal factors, the cut-off point for the Workers' Party to change the name of its candidate on the ballot is September 16, regardless of whether Lula is still campaigning next to the new chosen candidate. 10) Are there international measures to denounce the injustice of the process against Lula? In July of 2016, Cristiano Zanin and Valeska Martins, attorneys representing the former President Luiz Inácio Lula, referred their client’s case to the United Nations Human Rights Committee in Geneva, Switzerland, arguing that he has been subject to a politically motivated investigation. The dossier outlined alleged violations of the International Covenant on Civil and Political Rights and alleged abuses of power by judge Sergio Moro. The petition to the HRC, which sits at the UN in Geneva, informed the press that his case was not considered urgent and would be debated in 2018. In addition, a group of highly influential writers, activists, artists, and academics signed an online petition in defense of the country’s former President Luiz Inácio Lula da Silva. Lea las preguntas y respuestas en Portugués y en Inglés.